It seems like you have changed about a million diapers in the first few months after you bring home your baby. And then one day you see it. 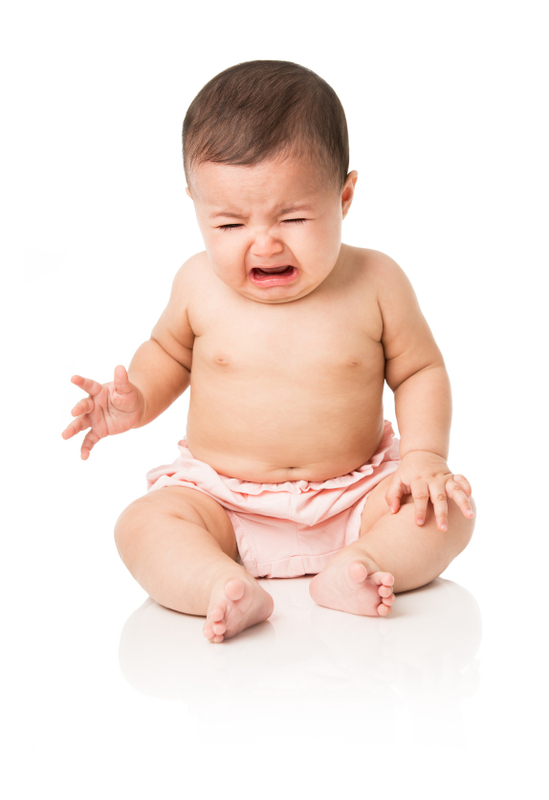 Your baby’s precious little bottom is red and inflamed – diaper rash. There are many different products on the market to heal diaper rash and if you’ve encountered diaper rash before, chances are you’ve tried a few. But what about using Lotrimin AF (yes, the foot fungus cream) for diaper rash? Here’s the skinny on this fungal diaper rash cream option. Almost every baby will have a case of diaper rash before the age of three years old. Don’t worry too much – it happens. The goal is to get your little one feeling comfortable and – let’s be honest here – sleeping again as quickly as possible. Diaper rash has a wide range from minor irritation on your baby’s bottom to full-blown with bumps and even open bleeding areas. Minor cases of diaper rash may not bother your baby too much. However, in cases that have progressed babies can be very uncomfortable, crying and up all night. And even minor cases can progress to full-blown diaper rash very quickly. Full-blown diaper rash happens when there is an overgrowth of yeast (secondary candidiasis) in a moist area. You can tell that yeast is present when there are red bumps around the edges of the diaper rash. nd when there is yeast, you will need a fungal diaper rash cream. 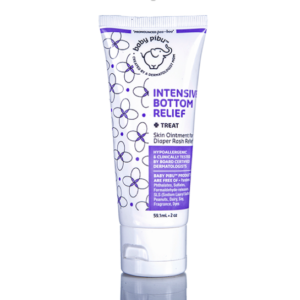 Click to Order: Intensive Bottom Relief – Enjoy 10% off this product using promo code “pibublog1216” at checkout. Clotrimazole is the main ingredient you will see in antifungal cream for babies, and Lotrimin AF is one of the leading brands. Even though you will see a foot on the packaging, it is an anti-yeast product and can be used for diaper rash. Antifungal cream for diaper rash works by changing how well the yeast cells can absorb through their cell walls. This kills the yeast that is growing in the diaper area. When you are shopping for an over-the-counter (OTC) fungal diaper rash treatment option, make sure you look for one with clotrimazole or another “-azole” in it. Do not use other fungal diaper rash creams without the “-azole” in it, as they work on different types of fungi and not yeast. When using an antifungal cream for babies such as Lotrimin AF, simply mix a small amount of it with your diaper rash cream and apply to the diaper area. Baby Pibu’s own Intensive Bottom Relief is also a great option for sore bottoms. Our diaper rash ointment contains thymol (a natural anti-bacterial and anti-fungal) and cornstarch to help relieve the rash. In addition to using an antifungal cream for babies such as Lotrimin AF, there are other steps you can and should take when your baby has diaper rash. These steps should be taken regardless of whether or not your baby has yeast present. The first thing to do is to increase how often you change your baby’s diaper and make sure the diapers aren’t too tight. Often times your baby may have grown and just needs a bigger size. Diapers that are too tight can create an environment that is perfect for diaper rash and can cause chafing. You may also help your baby’s bottom breathe by letting your baby go diaperless for short periods of time. In addition, use a warm washcloth instead of a wipe, which can be less irritating and more soothing to that sore bottom. Lastly, apply a diaper rash cream with every diaper change. Yeast diaper rash creams can help protect the baby’s bottom by forming a physical barrier against dirty diapers. If the diaper rash doesn’t improve within two to three days, see a pediatrician or dermatologist. Apply a good diaper rash cream with every diaper change to provide a protective layer between your baby’s bottom and his dirty diaper. Baby Pibu’s Hydrating Ointment is great for this purpose and doesn’t leave a white mess. 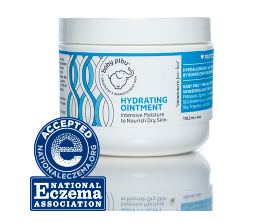 Click to Order – Hydrating Ointment – Enjoy 10% off this product using promo code “pibublog1216” at checkout. Use an ointment with zinc oxide for naps and overnight. Zinc oxide provides an even stronger barrier for delicate bottoms. If there are any signs of redness or irritation in the diaper area, begin using a diaper cream with zinc oxide with every diaper change. Baby Pibu’s Bottom Balm is a lotrimin diaper rash cream and a good one to use here. Click to Order – Bottom Balm – Enjoy 10% off this product using promo code “pibublog1216” at checkout. Lotrimin AF and other OTC anti-fungal creams can be lifesavers when your baby has full-blown diaper rash with yeast. You should see some relief for your little one pretty quickly after you begin application of fungal diaper rash cream. And by following the other prevention and treatment tips above, you can clear up the diaper rash and get your little one – and you – back to sleep in no time.